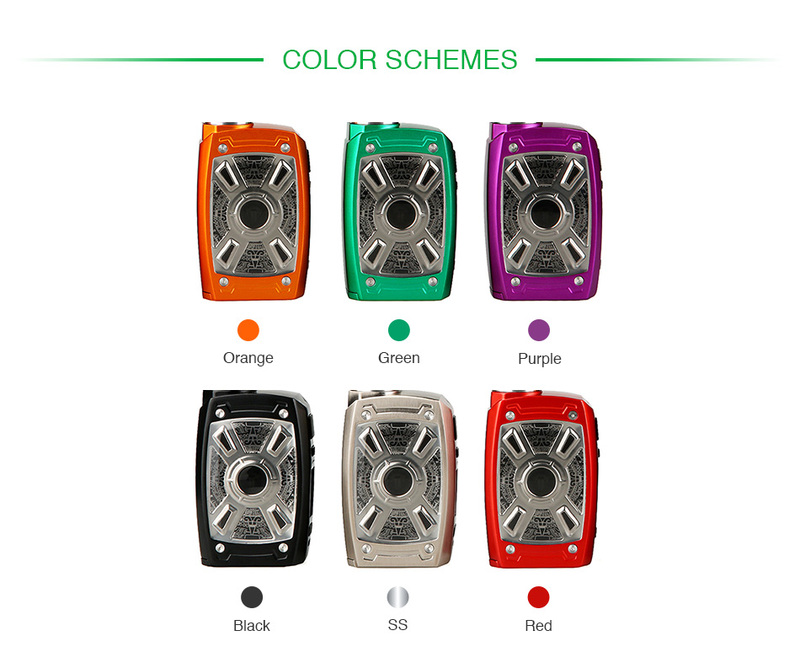 Say hello to the newest box mod from Tesla XT family Tesla XT Mini MOD. The Tesla XT Mini MOD is a updated and more compact version of Tesla XT inheriting the Zinc alloy construct with exquisite Mayan patterns and "X" decoration. 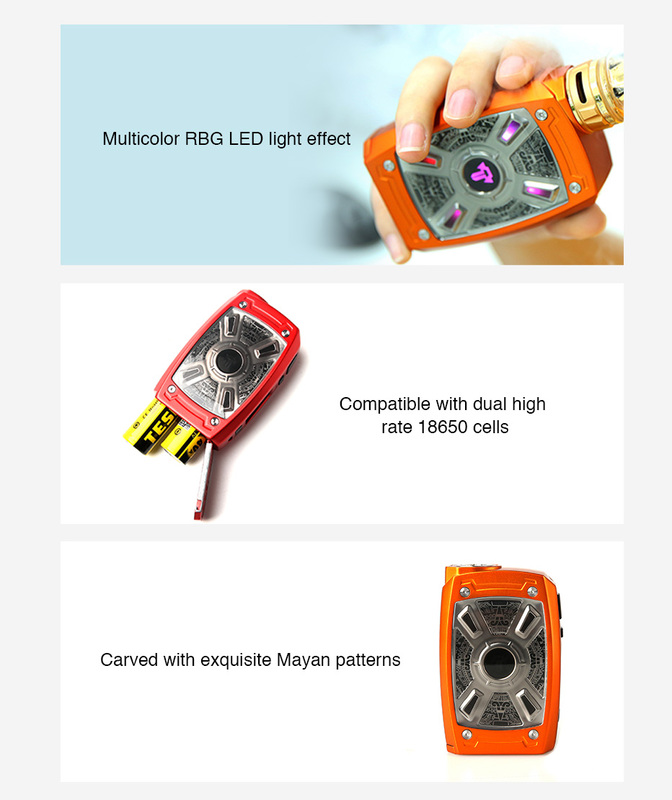 Powered by dual high rate 18650 cells, the XT Mini can fire up to 220W max output with various modes. Plus the sparkling RGB LED light effect, the Tesla XT Mini will bring you a surprise and funny vaping experience. No hesitation, just take the XT Mini MOD home.